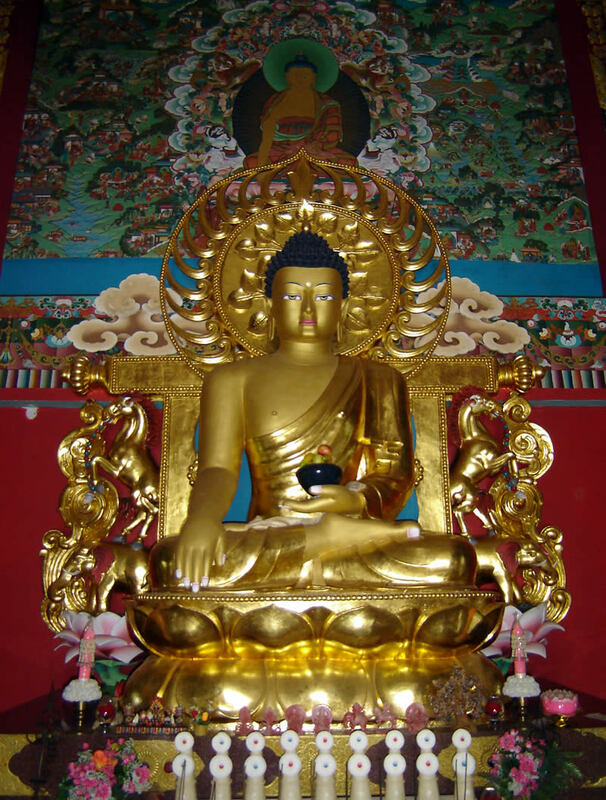 The first floor shrine-room is dedicated to our Peerless Teacher, the Buddha Shakyamuni. On the walls are painted the principal figures of the buddhas of the three times. Beginning from the right side of the principal figures, all around on the walls are painted the Jataka Stories based on the text Wish-fulfilling Tree written by the Dharma King Kshemendra. These beautiful murals are painted with great attention to detail. On the pillars are the sixteen great arhats, the seven entrusted with the teachings and the seventeen panditas of glorious Nalanda.